My best friend had her baby shower recently. She is an amazing woman who has brought so much happiness to my life. So of course I wanted to bring something rustic, home made and delicious to share. I was really happy with what I created and they disappeared pretty quickly from the plate. I think everyone had at least one. 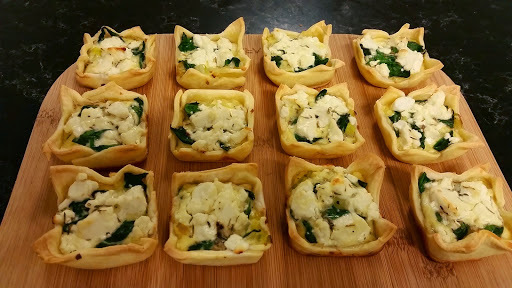 Tartlets are an instant win at parties, and this rustic style recipe is perfection. From what I researched, goats cheese is fine to eat while pregnant as long as it has been cooked. Preheat oven to 200 degrees Celsius/392 Fahrenheit. Spray your tray with oil. Pan fry spinach until wilted. Transfer to another bowl to cool. 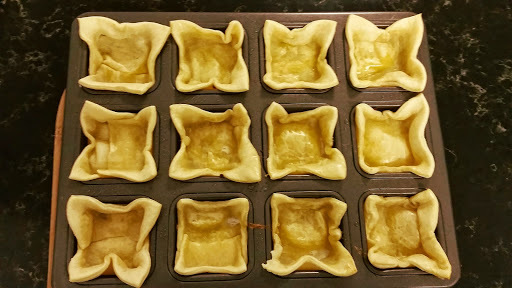 Cut shortcut pastry into slightly larger versions of the shape of your muffin tray. Mine is square and not very deep. Push the pastry into the trays. Don’t worry about making it too neat – a little rustic is good. Brush the pastry with egg white. 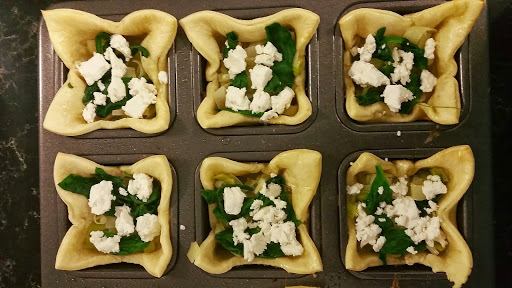 Layer leek, spinach then goats cheese. Whisk eggs, cream, salt pepper and thyme. Spoon into tartlets. Bake for approximately 20 minutes or until the pastry browns and the filling is cooked through. 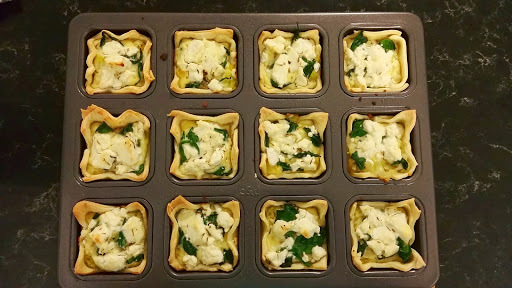 This recipe made two tray’s worth of tartlets. This will vary depending on your tray. 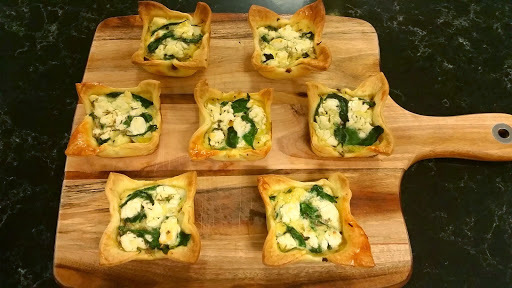 There’s not really much to say except that these were yummy and I will certainly make them again for any events in the future.